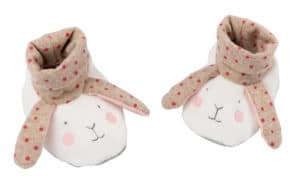 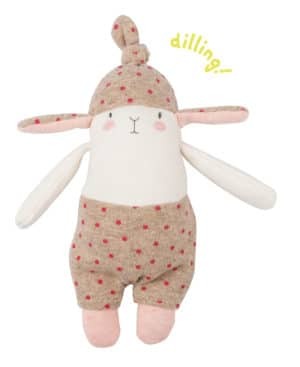 Lulu the little rabbit comforter features the combination of a soft toy and a comforter. 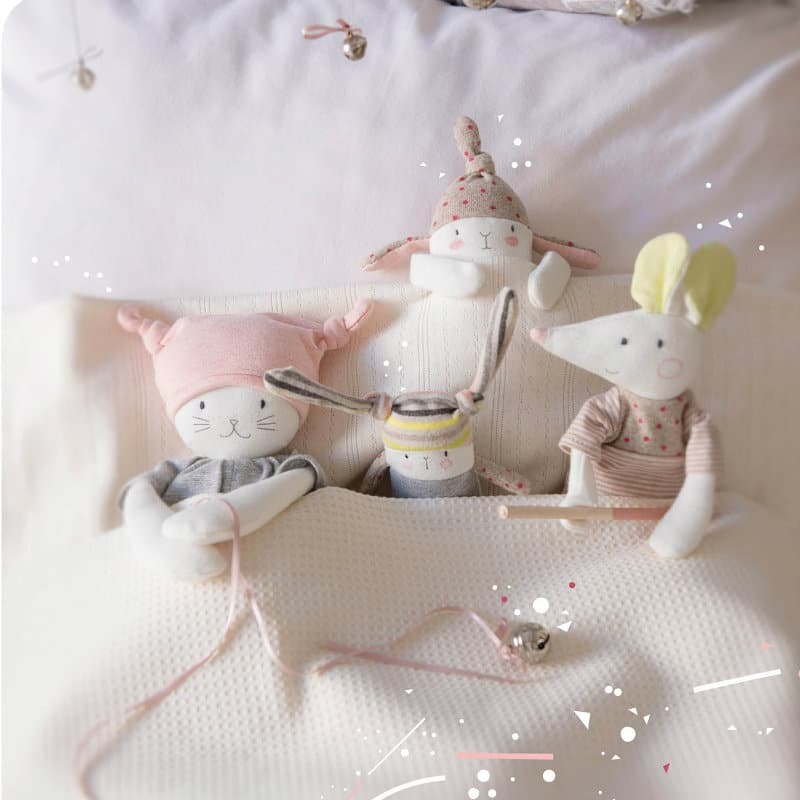 At bed time, or whenever a comforter is needed, simply pull the lime coloured knot on Lulu’s side to expose a soft square of fabric for baby to cuddle or nibble. 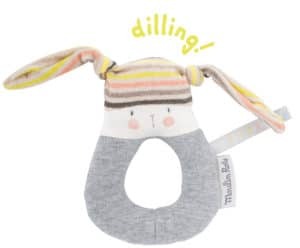 The fabric can later be pushed back inside Lulu’s tummy. Lulu is made from a mix of different, beautifully soft jersey fabrics. 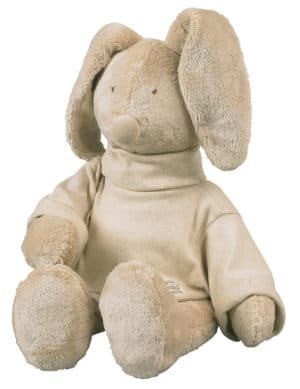 Her eyes are embroidered and facial features are painted. 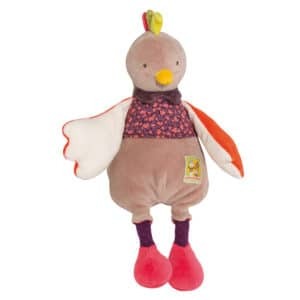 Comforters can help your child to develop skills in self soothing. 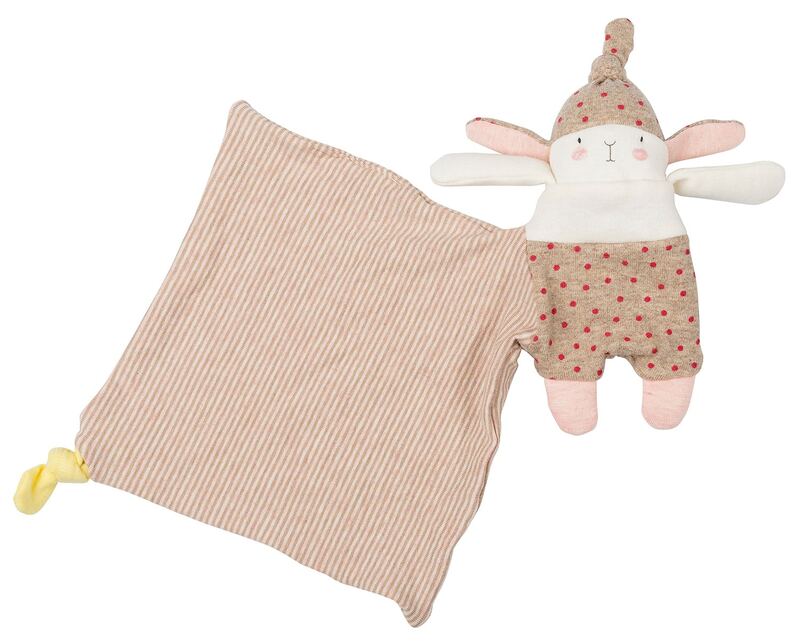 A soft blankie or comforter can also help to comfort your infant during times of stress.